A study conducted by the Economist revealed that Internet biggies Google and Facebook account for more than half of the online advertising revenue in Asia. The report on environment for Asia’s Internet businesses released by Economist’s Intelligence Unit (EIU) revealed that online advertising space in Asia is highly profitable, as its size is still granular and there are a lot of fish competing in one pond. Monetisation through online advertising is not easy. 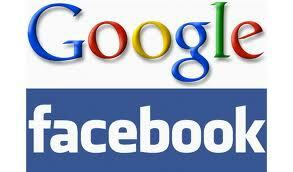 Experts said that due to a huge user base, Google and Facebook are in clouts over online advertising. These two user fanatic websites have the highest no of users online making them the top two sites in the world. Vdopia, VP (APAC) Preetesh Chouhan told PTI. However, EIU said mobile advertising is slowly gaining traction and Asia will be one of the biggest markets. While forecasts say that online advertising in Asia is set to grow at a modest pace (from 24 percent of worldwide online advertising in 2010 to 26 percent by 2015), the mobile advertising market is really taking off. By 2015, Asia is expected to account for one-third of the mobile advertising market globally, it said. Online advertising spend in India was about Rs. 2,260 crore as of March 2013 and is estimated to grow to Rs. 2,938 crore by 2014, while, mobile advertising is estimated to reach Rs. 250 crore in 2013, a growth of 40 percent year-on-year. Globally, online advertising revenue stood at USD 99 billion in 2012, which is estimated to grow at 15 percent to USD 113.5 billion in 2013. In the case of mobile advertising, the revenues were USD 6.4 billion in 2012 and is expected to touch USD 9.7 billion in 2013. As of now, Entrepreneurs in many parts of Asia face a challenging commercial environment.